Nowadays, most of the computer and laptops that are made, are manufactured without Windows 7 installation discs and instead are provided with a recovery disc or partitions. The purpose of these recovery discs is to restore the user’s computer to the factory fresh condition, or the mint condition. However, these recovery have faced many complaints of being loaded with a number of ‘bloatwares’. Bloatware is a software that contains useless utilities such as free trials and media players and so on and so forth. Apart from these, the bloatwares also contain the installation file of the Windows. In such cases of bloatware software, it is literally very time consuming and effort consuming to remove every single useless piece of bloat just for installing the Windows to its factory fresh state. So, many people are trying out other methods of installing Windows. One of such methods is to install Windows 7 from USB ISO. Installing Windows from USB ISO is a much faster process than using installation disks. While installation discs require as much as almost up to a day to finish installation of the Windows operating system alone, a bootable USB flash drive doe this within a span of an hour or two. Portability factor of the bootable USB drive is much higher than that of DVDs. While DVDs are fragile and can be easily damaged by scratches, USB drives, such as pen drives, are much more hardy and damage resistant. They are also smaller in size. For using a bootable USB flash drive for installation of Windows, you do not require an optical drive or an external DVD drive. All you will need is a USB port in the system. 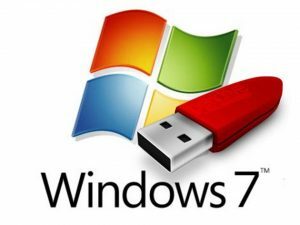 There are several methods of by which you can reinstall or install Windows 7 from USB ISO device. You will require the installation disc of the Windows 7 operating system as well as the product key which is valid for completing the process of reinstallation or installation. This method is perfectly legal as well as effective. It does not even require the user to have much of technical expertise in the field of software installation and commands. The first and foremost step is to get hold of the Windows 7 product key. Without the product key, it is impossible to install the Windows 7 operating system. The next step is to download the ISO file for the specific version of Windows that you want to install in your computer. Many sites provides these ISO files, you can get them from those. The next step is to download the Windows 7 download tool and extract the installation files. Start your system using this tool and follow the wizard to install Windows. Windows vs Linux: Which One do I Need?